Global Corporate Challenge (GCC) is an online platform, developed over a decade ago to improve the health and performance of employees around the world. The principle is simple – you form teams of 7 within your company (as long as your company participates) and each team member records its daily activity (captured by a step tracker) on the GCC personalized website. Since I started the challenge, my physical activity has probably doubled and I now exercise every single day. What are the ingredients that make it so successful … and addictive? They come from group dynamics supported by digital technology and behaviors. Team dynamics: the team structure includes a captain who is provided tools to motivate its members: emails at each milestone, dashboard to monitor progress and alert on missed entries, posters and promotional materials, … the program also includes team challenges: for example, the team commits to walk 150 000 steps in total at a specific date. In our case, although the recommended daily average is 10 000 steps, we are reaching over 19 000 and steadily increasing – as everyone wants to beat the team average. Goal settings and progress measurement: each participant decides on its daily steps goal with increases over time. The tool suggests a level to stretch the performance. In addition, the platform evaluates at the start a “lifestyle score” based on simple questions. There is an element of gaming, whereby most activities generate points towards that score, along with rewards “trophies”. In addition, the step challenge follows a visual storyline. The further you step, the more you discover iconic places around the globe, which not only provides interesting facts and figures, but elevates daily activity into an exciting journey. Daily checkup: high frequency of interaction is the secret for addiction. 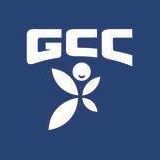 With GCC, you need to input your activity daily… It is now the first thing I do in the morning: connect through my mobile app to enter my counts for the previous day. Community: the platform includes a social forum where participants exhibits the same behaviors as on Facebook – showing off their good performance “I passed the million-step mark”. Content: There is a special attention to content, in an easily navigable format, reaching out to engage users on multiple interests: nutrition, sleep, life balance – short articles in an engaging format, simulation tools, tracking tools, simple feedback questions “how good was your sleep?”, audio tutorials (breathing exercises). The content is very rich and comes into various formats – which not only favors engagement, but also extends the time spent on the platform. When I see how Pokemon Go has lifted my son from the couch to a near 10-mile daily walk, I trust that the GCC platform has the same effectiveness in bringing healthy activity to employees. Well done!